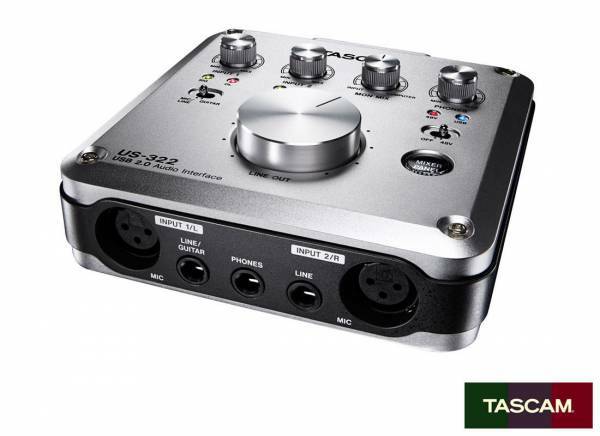 The Tascam US-322 is an USB 2.0 audio interface that provides 2-inputs and 2-outputs. In Addition, this interface is equipped with 24-bit 96 kHz and one Microphone XLR/Line-Guitar TRS input, one Microphone XLR/Line TRS input with HDDA microphone preamps and +48V phantom power, plus two balanced TRS Line Level and two Line Level RCA outputs in parallel. For use with electric guitars, basses and other instruments you can switch one TRS input to high impedance. Other features of the Tascam US-322 are an on-board digital mixer with selectable Multi-track tracking mode or Stereo mixing mode, a Compressor and EQ input effects, a 1/4-inch TRS headphone output with level control and a Reverb send effect. With the Loop-back function, you can mix sounds from the computer and sent them back to the computer. In Addition, this Audio-interface is USB 2.0 bus-powered. 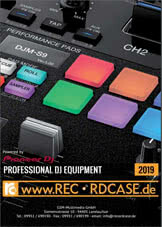 The Software Steinberg Cubase LE6 is included in delivery. Sii il primo a scrivere una recensione per: "Tascam US-322"